· For every multi-pack of requested items from the list below $3.00 in fines will be waived. Single items will not be accepted. For instance, an individual serving of Lance crackers will not be accepted, however a multi-pack of crackers will be. · A maximum of $20 in fines will be waived from any account. · Only fines are waived – replacement fees for lost books are not eligible. · No credits for future fines will be issued. Fine Forgiveness Days is for existing fines only. CPCC Library and CPCC Student Life invite students, faculty and the public to a viewing of Ava Duvernay’s Oscar Nominated Netflix Documentary titled, “13th Screening.” The event will be held on Tuesday, April 18, from 10 a.m. to 12:30 p.m. inside Tate Hall on CPCC’s Central Campus. Admission is free and PD credit is available. The CPCC Library will be having book sales throughout the week of Sensoria. During the months of October and November 2017, CPCC Library will be commemorating the 100th anniversary of the nation’s entry into WWI by hosting an exhibition. describing your items. We will contact you with further information. Thank you! “Created Equal” is part of the Bridging Cultures initiative of the National Endowment for the Humanities (NEH), produced in partnership with the Gilder Lehrman Institute of American History to encourage public conversations about the changing meanings of freedom and equality in America. 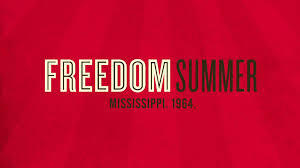 To support this endeavor, the CPCC Library is sponsoring a showing of “Freedom Summer.” This film is supported by NEH, and tells the remarkable story of individuals who challenged the social and legal status quo of deeply rooted institutions. Wednesday, February 11, 2015; 11 a.m. – 12:15 p.m.
Do you have a song or a sound that recalls a specific memory for you? Share that memory or story as a 5-7 minute performance in this annual event. “Word of Mouth” is similar to NPR’s storycorp, or the Moth Radio Hour, where you stand up in front of an audience, without notes, to share your personal story. Stories can be funny, inspirational, emotional, tragic or thrilling, all in five minutes. We encourage an audio clip of the sound or song as the set-up to your story, but it’s not required. The best stories from the individual campus events will be chosen to perform again during Sensoria on Tuesday, April 8. Did you know… You can make photocopies using your Pay for Print account at the library? Find out how under “Other Tips and Tricks” on the CPCC Libraries FAQ Guide!